progeCAD Smart 2009 Legacy CAD for PERSONAL use only! Download progeCAD Smart! 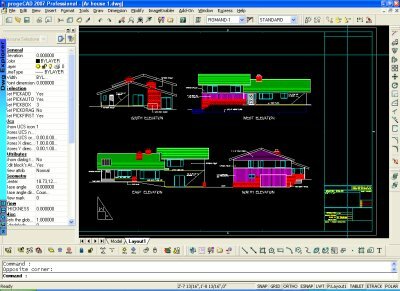 2009 "personal freeware" CAD offering progeCAD performance and real DWG compatibility. progeCAD Smart! is free for personal, non-profit, student and learning use only. progeCAD Smart! is now VERY OLD and NOT supported, and may or may not run on Windows 7, 8 or 10 - please see our current Professional version for Windows 10 and AutoCAD 2010 - 2017+ file support, new commands and CAD technology. Further, progeCAD Smart! is not "open source". progeCAD Smart! is simply registered without charge. NOTE that it is illegal and against your terms of agreement to use Smart! for commercial purpose of any sort. Smart! also has many limitations which not in the Pro version. If you want CAD software for business use, the low cost of progeCAD Professional is well worth while. Smart! user registrations are regularly sent to CADDIT for verification. Students learning CAD Yes! Business (ABN, Ltd, LLC, Inc) No! Non-profit Organizations Yes! Sole Trader, Professional Designer No! Hobbyists (not for profit) Yes! Hobbyists (for profit) No! progeCAD Smart! is "charityware". If you enjoy the free product, please take part in the international fundraiser on behalf of Doctors Without Borders for South Asia and South Pacific. Try it - donate today. Reliably edit CAD files from almost any version of AutoCAD or AutoCAD LT.
progeCAD 2008 Smart! automatically adds a virtual printer which can produce PDF files without the need to own ADOBE ACROBAT. 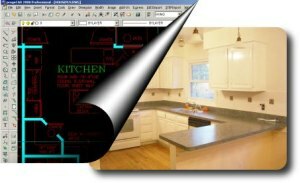 Build progeCAD C++ extensions similar to AutoCAD ADS with this toolkit.